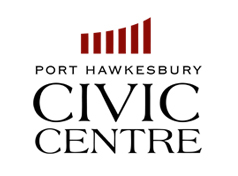 Port Hawkesbury – Effective immediately, the Town of Port Hawkesbury wishes to advise the public that the yard sales taking place on the Irving Oil property off Reeves Street at Embree Island are not authorized in accordance with the Town’s Vending By-Law. The current operation of these yard sales is causing serious safety concerns for residents and motorists. As an alternate location, vendors may locate at the Prince Street Park area adjacent to Granville Street. This temporary location will offer a safer environment to residents, vendors and motorists.